The Nokia X6 has surely crossed Chinese borders as all evidence points to a launch in Taiwan soon. We’re also aware that the handset should go global after a Taiwan launch happens. The handset has gone out of stock four consecutive times in China and that says a lot about its market appeal and pricing. Now, the handset has briefly appeared on the global Nokia website only to be taken down quickly. Thankfully we do have a snap of the incident and we’ve posted it here. The appearance is itself enough proof for anyone looking for cues of a global launch. However, Nokia still won’t admit it with launch dates. For now, we can confirm at least two markets where the phone will launch, Taiwan and Russia. Just to give you a quick recap, the Nokia X6 features a 5.8-inch Full-HD+ dispaly with 1080p resolution. It is also the first Nokia phone with a notch. It comes with a Snapdragon 636 SoC and has 3GB/4GB/6GB of RAM and either 32GB/64GB of internal storage. 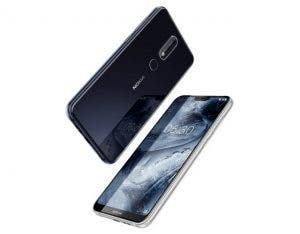 The Nokia X6 looks like a the bigger brother of the Nokia 5.1 Plus that appeared suddenly in CAD renders and HD images. The handset is also headed for global as well as China launch.